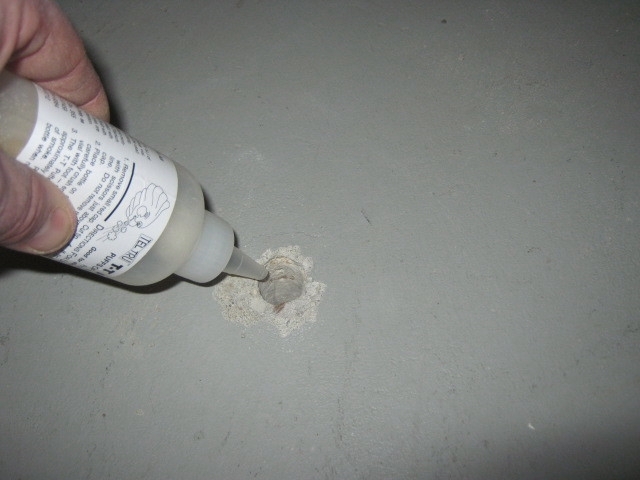 We perform diagnostic testing as part of your system design, We drill a few small holes in your basement floor. 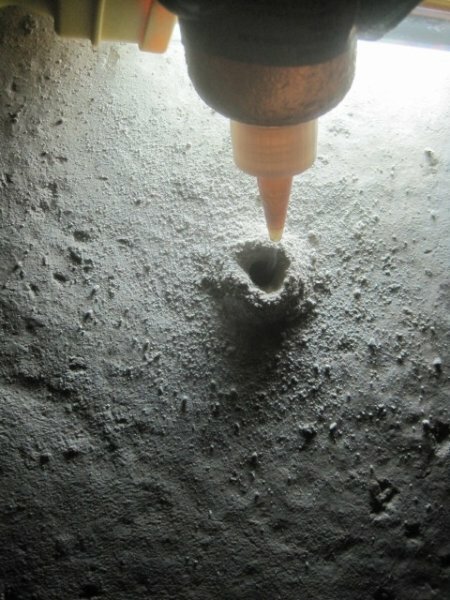 Into one hole we puff smoke (shown), into another hole across the basement we insert a vaccuum. If the suction draws the smoke down into the hole, we know the system location will be successful and efficient. 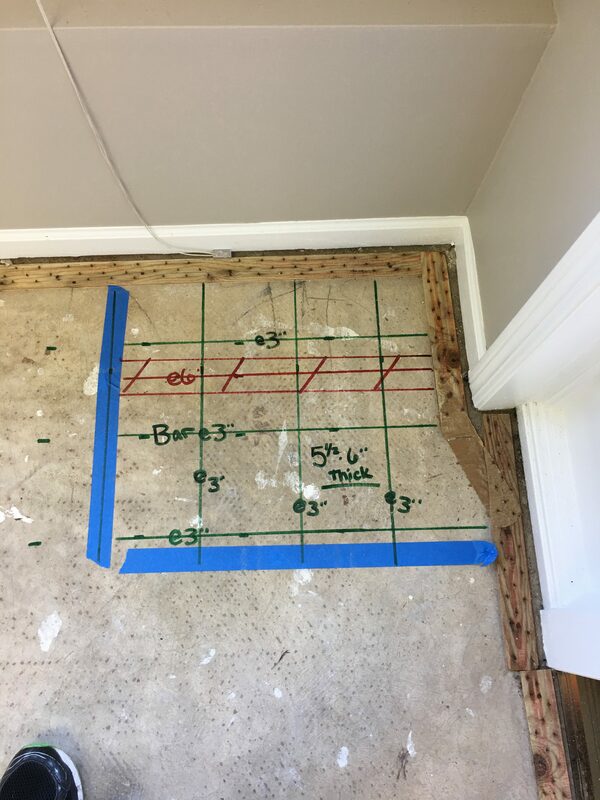 We will core a neat 3 1/2" to 5" diameter hole into the basement floor (lowest slab) in an unfinished area. We will create a void space of at least 216 cubic inches to make the system efficient. While drilling we utilize the best HEPA filter technology to minimize concrete dust being released into the air. 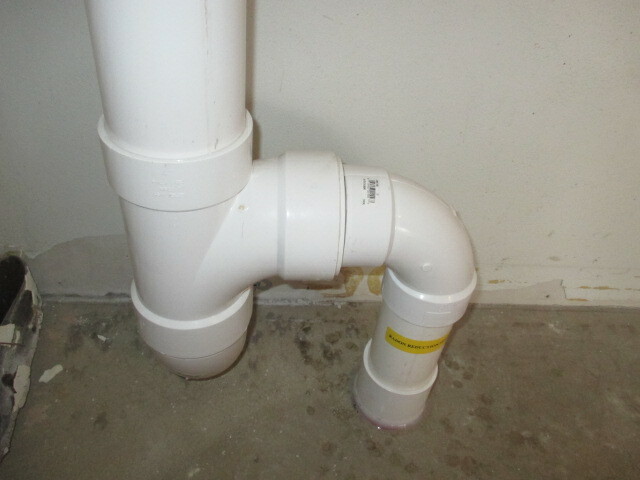 We will caulk the suction pipe so that it remains airtight. We also properly secure and support the suction point by installing a coupling at the base of the suction point. 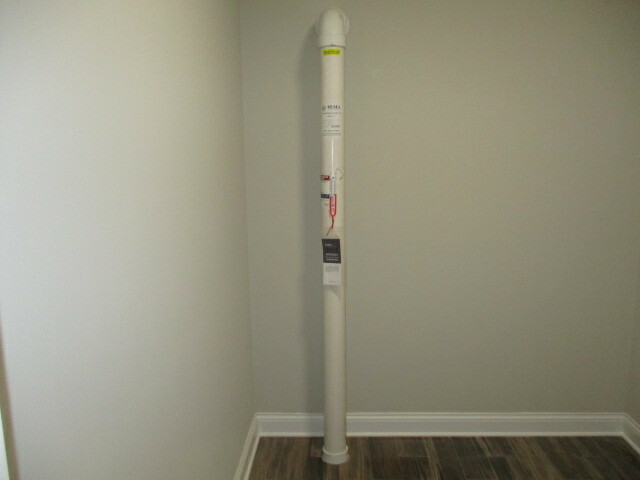 This will allow system to properly collect the radon from the suction point for the life of the system. All of our piping is Schedule 40 PVC. We use professional grade caulk. 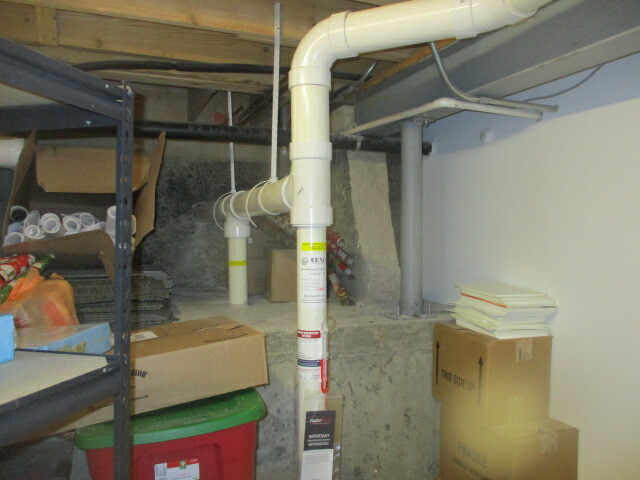 This is a sub-slab ventilation system with the primary suction point neatly located in an unfinished corner of the basement and an additional suction point going through the foundation wall underneath the concrete crawl space floor. This photo shows a suction point installed in the concrete crawl space and additional suction point going under the garage slab. 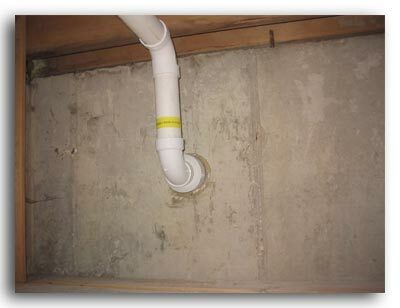 Installing a garage slab suction point will collect the radon gas that is remaining through the foundation wall into your basement. 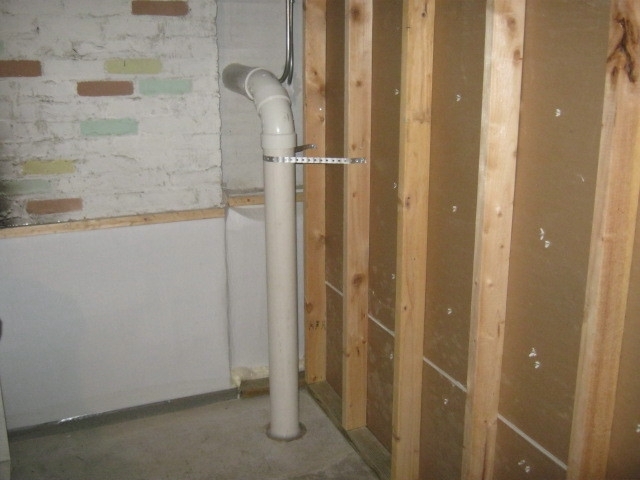 A garage slab suction point will get the radon levels as low as possible, which is Elliott and Associates' specialty. 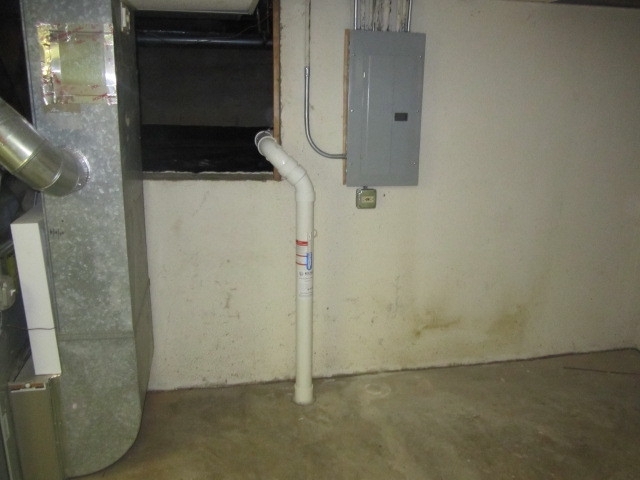 This photo shows a suction point installed in the basement and additional suction point in the concrete crawl space. You can also see the manometer (U-tube) and the IEMA sticker in this photo. 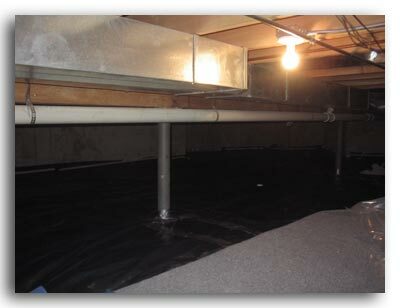 A gravel crawl space will be sealed with a 6 ml plastic membrane. The plastic will be secured to the walls of the crawl space with wood furring strips and sealant. 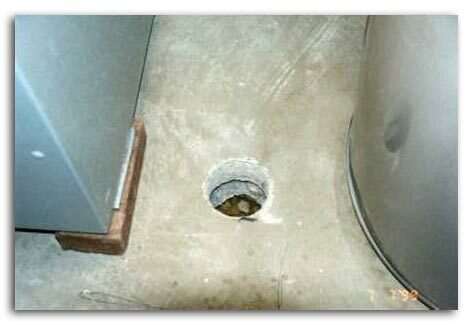 This photo shows a secondary suction point installed under the plastic in the crawl space. This home has a suction point in the basement floor (shown) and a suction point in the gravel crawl space. 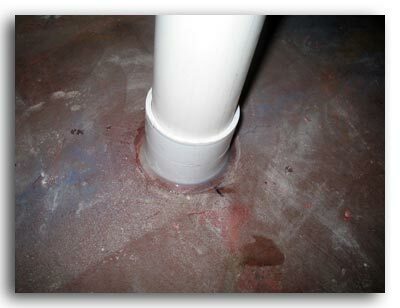 This is an additional suction point that goes under a slab-on-grade portion of the home. 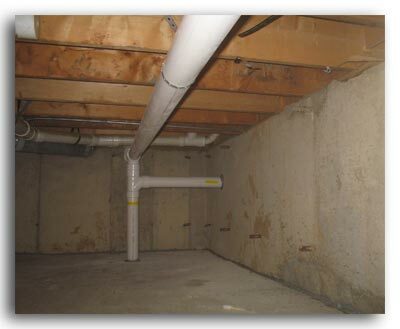 Additional areas of the home that should be covered by a radon system include: crawl spaces, garage slab, front porch slab, slab additions, upper slabs, etc. Garage suction point penetrating through the top of the garage floor, which is the preferred method of installing a garage suction point. 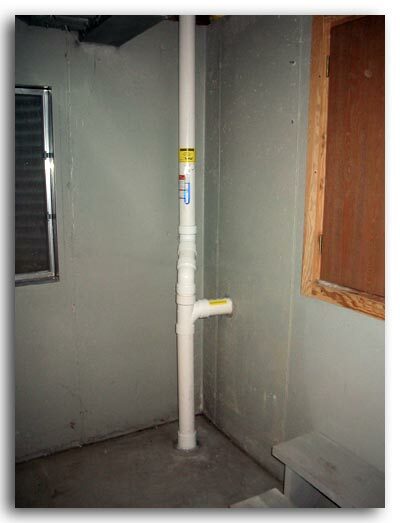 The system is designed to get amazing radon reduction, freeze protection and fire protection. This is a picture of how your system will look with a suction point in the garage with the fan located in the attic of the garage. The “T” is positioned to direct the suction to additional areas, such as the basement. 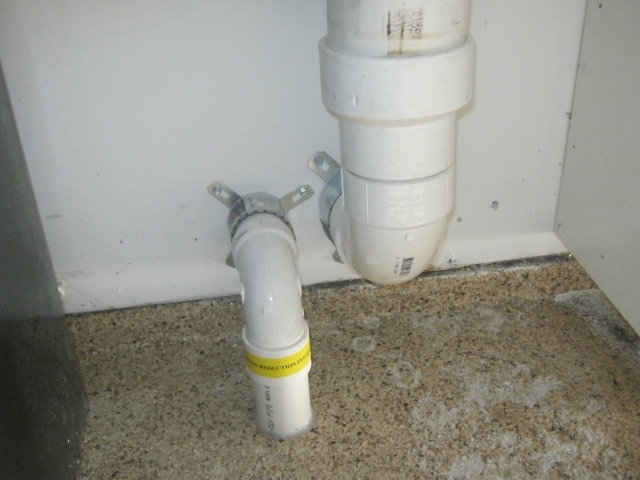 This suction point goes into the home's drain tile system, allowing the radon system and water management system to work perfectly together. 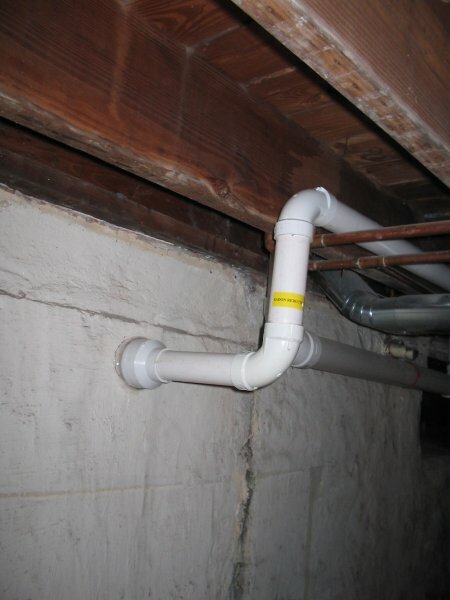 We prefer to locate the suction point in the unfinished part of the basement. This home had a 100% finished basement so the decision was made to choose the least affected area: a closet or small storage area. 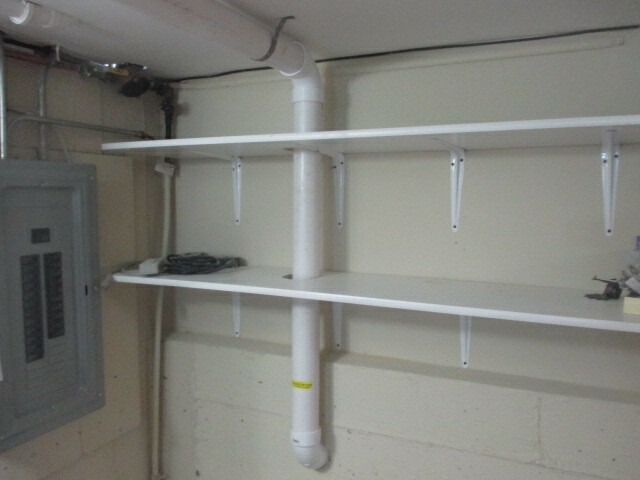 The suction pipe is incorporated into the shelf to save space inside the basement. 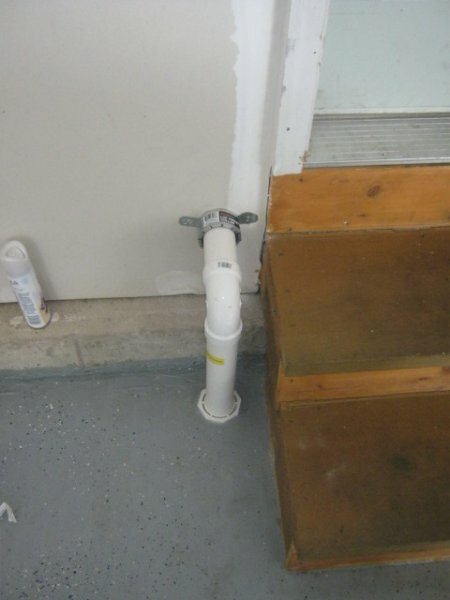 This is a picture of a test that confirms that the radon system is covering a specific area. 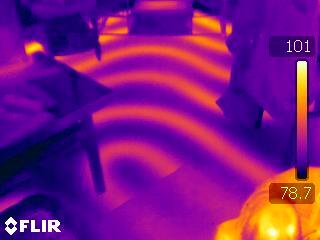 Before and after the radon system is installed, a pressure field extension test is performed. The data helps to design the most efficient system and eliminates the “poke and hope method”. Yes it does take extra time, but the safety of the family and the sale of the building depends on us installing the right system. 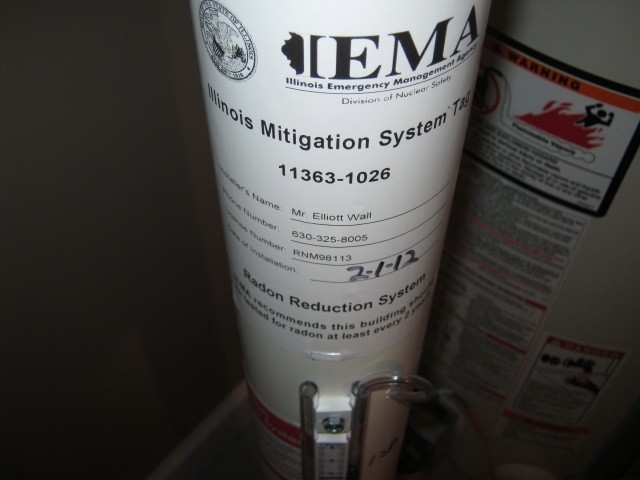 This is the IEMA sticker that must be placed on all radon mitigation systems. The number is like a license plate for a car but is a license plate for your radon mitigation system. 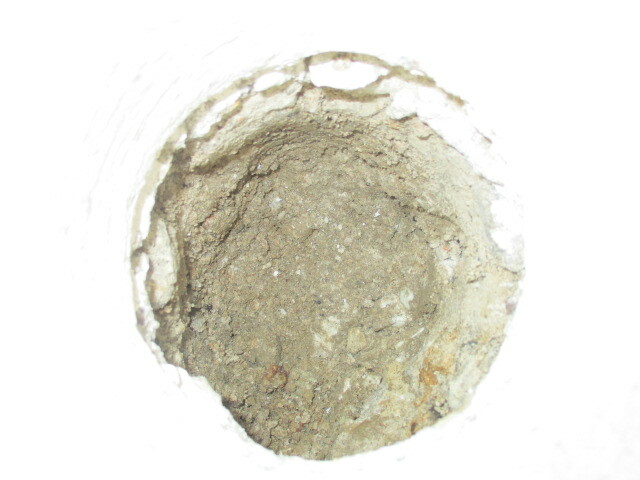 This photo shows poor soil conditions (sand and compacted soil) that could potentially affect the success of the system as well as increase the number of suction points that this home will require. Ground Penetrating Radar (GPR) is used to protect the sale and keep money in the pocket of the seller or building owner. GPR identifies buried electrical, plumbing, footings, and foundation. This is one of the most important steps prior to conducting Pressure Field Extension (PFE) tests because it identifies safe areas to drill. Many "Poke and Hope" mitigation companies are risk takers and do not discuss this process. Their luck will eventually run out and you better hope it is not at your house or building.